Christopher Sanchez began studying the trombone in 1978 at the Ecole Nationale de Musique de La Rochelle in the class of Jacques Caillaud. At the Ecole Nationale de Musique de Tarbes, in the class of Claude Burlat, he graduated with the 1st prize of tenor trombone in 1990, then, in 1993, with the 1st prize of bass trombone. In 1997, as a student of Michel Becquet and Alain Manfrin, he graduated with the 1st prize at the Conservatoire National Supérieur de Musique et de Danse de Lyon and Dance and won the Prix spécial Antoine Courtois. He played within the Ensemble Octobone, conducted by Michel Becquet and with the trombone quartet Kimoïz, winner of international competitions in Passau (Germany) and Guebwiller (France). Alongside his activities as an orchestral musician, Christophe Sanchez performed as a soloist in various groups and is regularly invited to teach the trombone in France and abroad. Principal trombone of the Orchestre National de Lyon from 1997, he is, from 2001 to 2011, principal trombone of the Orchestre de Paris and, since 1997, professor at the CRD of the Grand Tarbes. 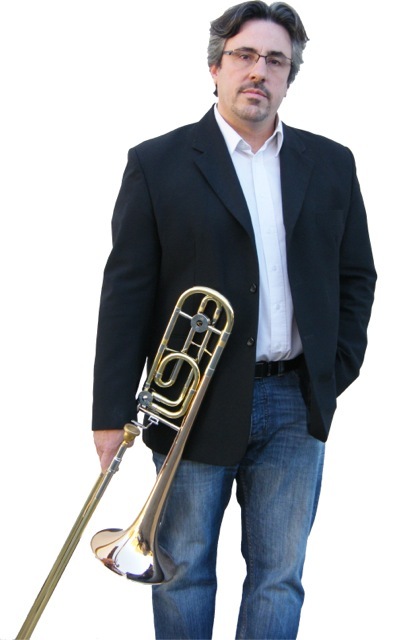 Since 2010, he is principal trombone with the Symphony Orchestra of Euskadi (Spanish Basque country).